If your company is relocating to a new building, you need a reputable moving company on your side. You don’t want to trust your valuable business items with just any Austin, TX moving company – which is where Blue Whale Moving Company comes in. From individual office spaces to multi-department companies, our expert movers have the training and experience necessary to ensure that your business has a safe and efficient move. When it comes to office moving, time truly is money. From your initial consultation to the moment we set the last box down in your new building, you and your company will enjoy a smooth moving process. We will ensure that you settle into your office quickly and you’re back to work in no time at all. Our moving professionals strive to provide a stress-free moving experience from beginning to end. Why Choose Our Office Moving Company? Blue Whale Moving Company is an award-winning moving company based in Austin, TX. We provide full-service office moves for your company’s efficiency and pleasure. Just like with our residential moves, we will carefully transition your entire company and its possessions safely and efficiently to your new location. These are sensitive items we’re working with, and you deserve the best protection – and Blue Whale has the track record of success you need for ultimate peace of mind. How Does Office Moving Work With Blue Whale? When we at Blue Whale Moving Company say we offer full-service office moving, we mean it. We’ll handle every aspect of your office move so you can relax and focus on business. When you contact one of our professional movers for your free consultation, we will take inventory of your items and provide an affordable estimate. Blue Whale will help you prepare for your move and we’ll even provide packing materials and help you pack. When moving day rolls around, you won’t have to worry about a thing. Our professionals will enter your office space and carefully move your possessions from the building into our fully insured Blue Whale moving trucks. We take extra care to avoid accidental breakage or damage. Once your items are secure, we will travel to your new location – whether within Austin or in another part of the country. At your new location, we will carefully unload and place your items in your new office according to your specifications. Our ultimate goal at Blue Whale is to provide a simple, stress-free moving experience so your office can get back to work as quickly as possible. Choose Blue Whale for the optimal moving experience in Austin, TX! Need Storage in Austin? No Problem! Is your building’s lease up before you can move into your new office space? Do you need to store your office items prior to your move? No problem – Blue Whale offers storage solutions at our secure Austin facilities for your convenience. We can store your possessions for as long as your business needs, at a very affordable rate. Simply let us know what your office needs, and Blue Whale will facilitate your smooth transition. 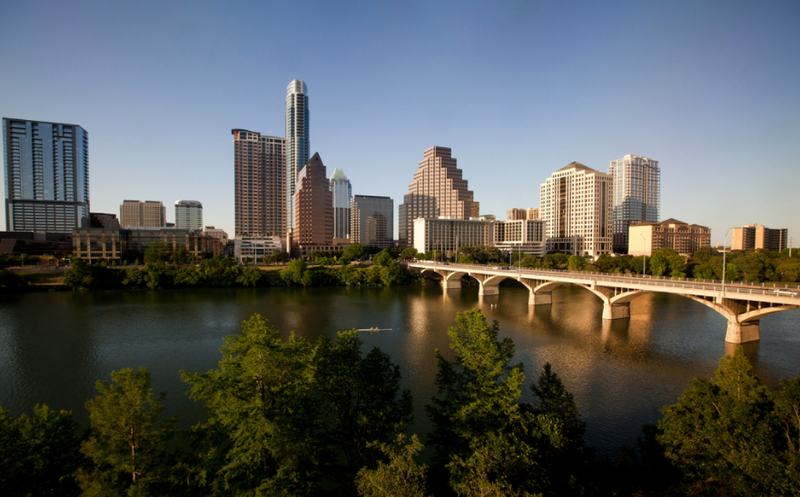 Are you ready to schedule your Austin, TX office move? Contact Blue Whale Moving Company today to schedule your initial consultation and receive your free estimate.